The Salesforce Spring ’17 release is being rolled out to all ORGs later this week, so it’s time to do a recap of my favorite features coming up in the new release. This release includes some of the most-requested Lightning Experience usability enhancements. 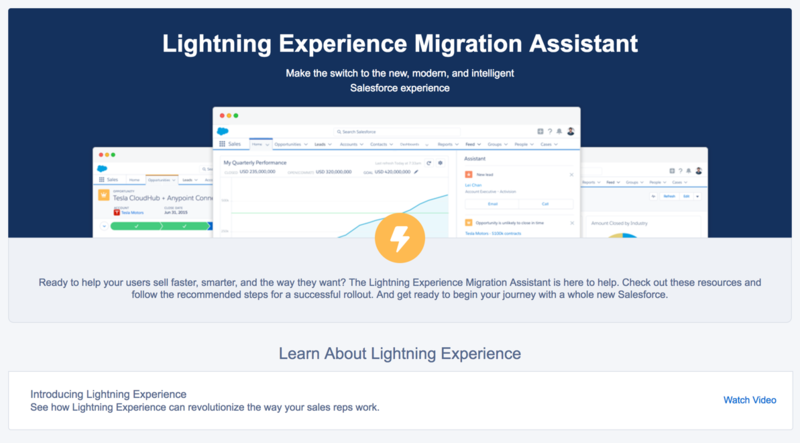 If you’re like me and have been hesitant to switch your Sales Cloud users over to the Lightning Experience, this release might change your mind. Are you ready to switch to the Lightning Experience? Assess your readiness to switch to the Lightning Experience by using the new readiness check. Available from the Salesforce setup menu, you now have the ability to request a personalized readiness report, which includes recommendations on how to switch over to the Lightning Experience. You will also have the ability to sign up for a free consultation with a Lightning Experience expert who will help you implement the recommendations. The new utility bar is similar to the home page components in Salesforce Classic and the footer in the Salesforce Classic console apps. It gives users quick access to common productivity tools, such as Notes and Recent items. The utility bar, which is only available in the Lightning Experience, is located at the bottom of each page as a fixed footer. You can specify how big the bar is and what label and icon you want to display. As a marketing professional, this feature will come in handy for me. 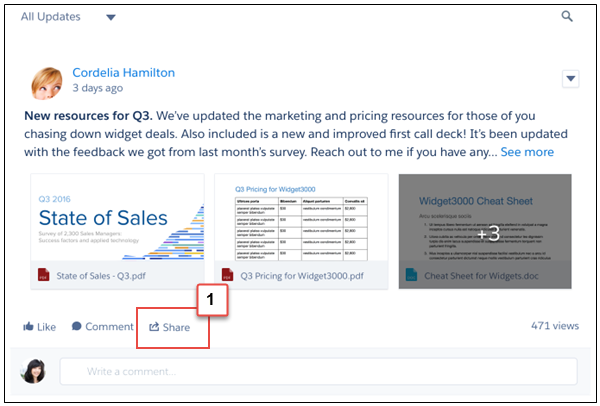 The Campaign related list now allows marketing to mass-update, remove or clone members. Keep the Accounts and Contacts within your Salesforce instance free of clutter by displaying duplicate records. You can now stop a sales rep from ruining your data by giving your reps permission to merge records. This was previously available in Salesforce Classic and is a part of the Spring ’17 release for the Lightning Experience. When you enable duplicate and matching rules for account and contacts, potential duplicates will be returned when an Account or Contact is created. Want to share chatter posts with your followers? Available in the Lighting Experience and in the Napili Community template you can share chatter posts and add your own introductory remarks before you post. What are your favourite features in the Spring ’17 release? Subscribe to receive more Salesforce Tips & Tricks content delivered right to your inbox. The Salesforce Winter ’19 release is quickly approaching, so it’s time to do a recap of my favorite features coming up in the new release. Here are my top 6 picks for the Winter ’19 release including density settings, list view sharing with groups and background utility items for Lightning apps.